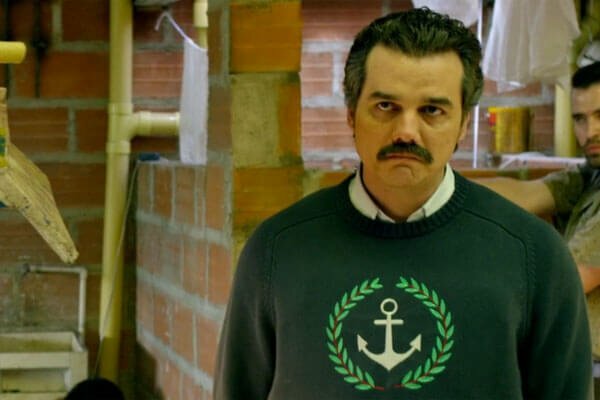 The Netflix original series Narcos tells the tale of Pablo Escobar (Wagner Moura), the notorious Colombian drug kingpin who became a billionaire through the production and distribution of cocaine. Though he looks like a harmless middle-aged man, he was directly and indirectly responsible for hundreds of killings. 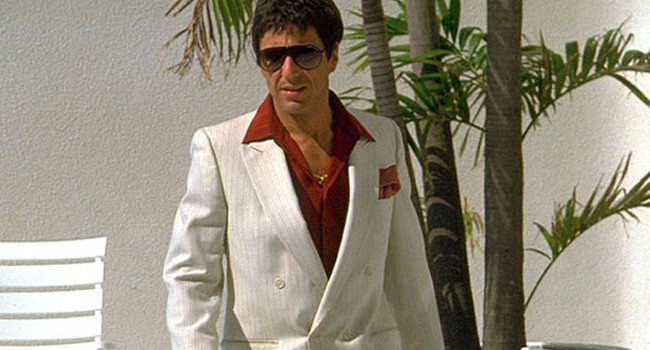 In Scarface, Tony Montana (Al Pacino) is a Cuban refugee who arrives in Miami with nothing in his pockets. Through determination and a strong dose of violence, he rises to become a powerful drug kingpin. Don’t forget to accessorize with Tony’s “little friend”. In Dredd, Madeline Madrigal (Lena Headey) works her way up the dystopian Peach Trees apartment complex, killing her pimp and becoming the resident kingpin Ma-Ma. Through her violent gang, she controls every inch of Peach Trees and uses it to manufacture drugs. In Breaking Bad, the friendly and mild-mannered Gustavo “Gus” Fring (Giancarlo Esposito) expertly manages the Los Pollos Hermanos fried chicken chain. But this is only a front for his large-scale meth operation. You might say that Gus has two faces. High school chemistry teacher, Walter White, went from collecting homework to collecting cash in the critically-acclaimed series, Breaking Bad. Often referred to as “Heisenberg” in the drug world, it has become harder to tell if the former cancer patient is the protagonist or the antagonist. This could have something to do with the pork pie hat and the menacing stare or perhaps the increase in greediness.